Parking restrictions on Gloucester Road – are traders still concerned? BACK in 2016, Bishopston Voice reported on a petition that traders submitted to Bristol City Council to introduce additional shopper parking in the area. BACK in 2016, Bishopston Voice reported on a petition that traders submitted to Bristol City Council to introduce additional shopper parking in the area. It also called for a review of a “tidal parking" option, where the 7.30am-9.30am and 4.30pm-6.30pm clear way would be relaxed to allow short stay parking on the outbound side in the morning and inbound side in the evening. The petition was unsuccessful. Two years on, we have spoken to traders on Gloucester Road and other local stakeholders to find out whether the parking restrictions are still a concern for them, or whether things have changed. Sarah Thorp, owner of Room 212 gallery feels that the restricted time allowed for parking is useful, but that the 4.30pm cut off has an adverse impact. She said: “It’s important that people don't park too long on Gloucester Road as we need a free flow of customers visiting our high street. However, the 4.30pm cut off is ridiculous. We are on a wide part of the road so when the traffic is bad, the parking bays remain empty. Martin Hunt from Joe’s Bakery feels that the council’s budget limitations mean it is unlikely that any changes to parking restrictions on Gloucester Road will be made in the future. He said: “Parking on Gloucester Road has been an issue for a great many years and I have been involved in many discussions with both traders and council officers. Commenting on behalf of their traders, Gloucester Road BID said: "We welcome ideas to find answers to congestion on Gloucester Road - it's going to take something innovative and possibly radical to improve this current situation and so we are always up for discussion on this subject." The Bishopston Society, an active residents' group, shares traders' concerns about parking on Gloucester Road. Chairman Nick Plant said: “We wholeheartedly support our fantastic independent traders who sustain the lifeblood of our wonderful vibrant high street. 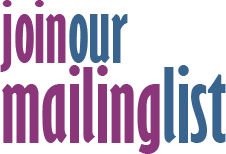 “We recognise parking as a live issue, and support a re-examination of transport options on Gloucester Road. It’s increasingly crowded, noisy and polluted, and ensuring shoppers have easy access to local shops rather than remote supermarkets is really important. “We’d also advocate a close look at hard evidence to support a range of options, including robust evidence on how Gloucester Road shoppers reach their desired retailers and social venues. 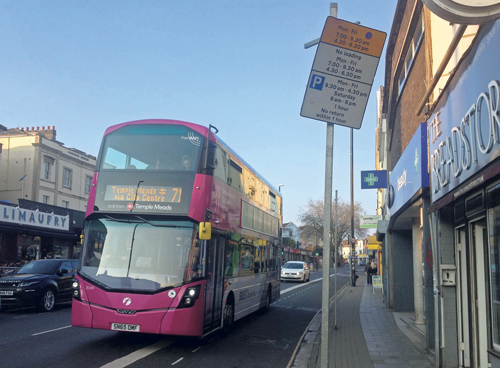 Tom Brook, Labour Co-op Councillor for Bishopston and Ashley Down, also sympathises with the concern that some traders have expressed about how the bus lanes affect their businesses. He said: “This should be balanced, however, with the benefit gained by having the bus lanes, which mean that buses can be more reliable, encouraging more people to choose public transport. The idea of a tidal parking scheme is interesting and I assume there would be pros and cons to it.